My research is motivated by trying to understand the conditions in which people flourish in place, in their movements, in daily life, and over the life-course. These matters of significance to studies in human society spur me to sustained intellectual effort, because they profoundly affect quality of life, ways of being in the world, and our relationships to other species and the Earth. Most of my efforts are currently directed to thinking about social change, and to championing educational attainment and raising aspirations for lifelong learning in Tasmania. I do that work as a member of the College of Arts, Law and Education's Institute for the Study of Social Change. Between 2015 and 2017, I started this line of inquiry as the inaugural Director of the Peter Underwood Centre for Educational Attainment, and before that was a member of the then School of Geography and Environmental Studies, including as Head of School from 2005 to 2013. I have been a member of the University of Tasmania's staff since December 1996. Prior to that time, I taught for a year at University of New South Wales (Canberra) and before then was engaged in casual teaching and doctoral research at the University of Adelaide, where my PhD was awarded without amendment. I began my academic career at 22 as a tutor in geography at Flinders University, where I completed a first class honours degree, having majored in geography and visual art history and theory. During my time at the University of Tasmania, I have built an international reputation in human geography and island studies, working at the interface of the social sciences and geohumanities. I have actively served the discipline and profession, for example as Editor-in-Chief of Geographical Research, the journal of the Institute of Australian Geographers; as a member of the Australian Research Council's College of Experts; and as Chair of the Southern Regional Reference Group for Economic Development in Tasmania. At the University of Tasmania, I have been active on University Council, Academic Senate, and the Board of Graduate Research. 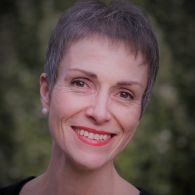 As a 'line academic' in the then School of Geography and Environmental Studies, at various times I was Honours Coordinator and Graduate Research Coordinator, Deputy Head of School, and Head of School – the last for over eight years. I also served as the University's Community, Place and Change Theme Area Coordinator for four years, and was Deputy Director of the University's Institute for the Study of Social Change, and inaugural Director of the Peter Underwood Centre for Educational Attainment. I take a scholarly approach to leadership, as shown by a publication on the role of the Head of School in the Journal of Higher Education Planning and Management, produced from my minor dissertation for the Master of Tertiary Education Management at the University of Melbourne. Evidence from external sources indicates that I am a highly effective and respected academic leader. National recognition for this scholarship was shown by the invitation to be an honorary fellow of the LH Martin Institute from the mid-2000s to the end of 2017. During that time, I facilitated the LH Martin Institute's national program Leading and Managing in Universities: Critical Insights for Academic and Corporate Leaders. For several years, I was an elected academic member of the University of Tasmania Academic Senate, was the elected academic representative on University Council, and remain a member of Council's Built Environment and Infrastructure Committee. Among other roles, between 2010 and 2013 I served as the Chair, My Learning Online Implementation Committee, which was a key forum at the University of Tasmania for stakeholder discussions delivering a new $7.5m learning management system to the university. I have extensive administrative and leadership experience. From mid-2005 to December 2013, I served as Head of School of Geography and Environmental Studies, leading a staff of c.25. When the School merged with Agricultural Science in January 2014 to form the School of Land and Food, I resumed standard academic duties for a time before being seconded to the role of inaugural Director of the Peter Underwood Centre for Educational Attainment. I am now a professor in the Institute for the Study of Social Change. In Tasmania and by Ministerial appointment, from 2011 to 2014, I was Chair of the Tasmanian Government’s Southern Regional Reference Group for Economic Development at the invitation of then Minister David O’Byrne. This nationally critically important work involved significant leadership and responsibility for stakeholder engagement, writing and editing several sub-sections of the Regional Economic Development Plan, and liaising with all tiers of government, and the non-government and private sectors. As Chair of that committee, I was part of the Commonwealth-State Economic Diversification Task Force, advising the Ministers on funding options for $100m allocated to Tasmania by the Commonwealth as part of the Intergovernmental Agreement on Forestry. I was also a member of the Premier's Business Advisory Council during this period. I was a Corporate Member of the Planning Institute of Australia, and Cabinet appointee to the Tasmanian Resource Management and Planning Appeals Tribunal for over a decade. My whole approach to learning and teaching is in accord with the University’s curriculum principles and commitment to excellence. My teaching philosophy accords with that expressed by Parker Palmer: quality of life, capacity to thrive, and individual and collective existence are critically underpinned by learning and teaching. Palmer reminds educators of our mission to guide others on their journeys and aid them to be in the world in ways enriching, enlarging, and caring. I began teaching in higher education in 1987 and, almost without exception, over the intervening period student evaluations of my teaching and units/subjects have been above faculty mean-of-mean scores. I have taught all levels from first year physical and human geography, to postgraduate units and courses focused on environmental planning, to professional development programs aimed at middle and senior university leaders. I have been privileged to receive teaching merit awards for my work. I am not teaching any units at the present time, but am available to supervise students. My research primarily – but not exclusively – aligns to the University's research theme of Creativity, Culture and Society. I have gained an exceptional international reputation in human geography, island studies, and mobilities studies. This interdisciplinary focus has been most recently articulated in a capstone work entitled Geographies, Mobilities, and Rhythms over the Life-Course [Routledge, see reviews]. I have engaged in enriching collaborations with geographers, ecologists, public health professionals, policy experts, historians, sociologists, planners, literary scholars, anthropologists, lawyers, linguists, philosophers, and artists. Much of that work has been funded by nationally competitive research grants, or commissioned research contracts with all tiers of government. Much of it has given effect to policy debates and policy shifts, and most of it has also been reported in high quality international journals, international keynote speeches, or in books and book chapters with leading publishers. Supervision is a significant part of my workload. I have supervised 88 candidates: 35 honours (27 first class results), 23 masters coursework and minor dissertations, 5 masters by research, and 25 doctorates. I am also regularly asked to provide mentoring to early career and established academics. I have been involved in numerous collaborations with other researchers around the world, as well as with regional and island communities. These collaborations represent important links with scholars, policy-makers, and members of civil society concerned with questions of social, cultural, geopolitical, and environmental questions oriented to improving quality of life, most especially at the local level and not least for young people. I have several research projects on the go at any time, of which a few are noted here. 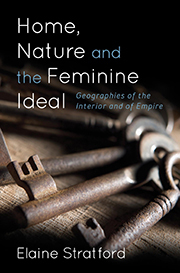 One, oriented to my work on the question of flourishing, is a scholarly monograph for Rowman & Littlefield International, entitled Home, Nature, and the Feminine Ideal: Geographies of the Interior and of Empire. This work explores ideas and practices in circulation in the late nineteenth and early twentieth centuries intended to produce the healthy population, nation, and empire. With the same publishers, and colleagues Philip Steinberg and Kimberly Peters, I have also recently completed an edited collection, Territory Beyond Terra (details and review). A third project involves working with colleagues at the University of Wollongong. Funded by an Australian Research Council Linkage Grant, between 2014 and 2016/7, The Lively Regional City provided the Wollongong City Council with an evidence-based analysis of how the city centre's built form is perceived, regarded and used; created decision-making tools to inform planning processes for long-term city centre revitalisation; and developed innovative ways to capture, aggregate and analyse perceptual and experiential data relating to city use in regional Australia. I am also a chief investigator on three projects with the Peter Underwood Centre for Educational Attainment: Review of Literacy Teaching, Training and Practice in Government Schools; Launceston Big Picture School Evaluation; and Facilitating School-Parent-Community Partnerships. My research has been chiefly concerned with (a) the geographies, mobilities, and rhythms of the life course (b) sense of identity and place; (c) creative responses to climate change among islanders; (d) environmental and resource management; and (e) geopolitics, governance and the environmental policy dynamics of sustainability and globalization at local and regional scales. Between 2014 and 2023, I am the lead editor for a scholarly series entitled Rethinking the Island (Rowman & Littlefield International), working closely with Professor Godfrey Baldacchino (University of Malta) and Associate Professor Elizabeth McMahon (UNSW). I am also Editor-in-Chief of Geographical Research journal, Deputy Editor of the Island Studies Journal and on the Editorial Boards of the Journal of Geography in Higher Education and Geohumanities journal. Alone and with collaborators, I have secured over $4m in external and internal competitive grants, contracts and consultancies, some of which are listed below. Much of the impact of my work has been in two national strategic research priority areas: ‘living in a changing environment’ and ‘securing Australia’s place in a changing world’. I note the foundational significance of my sole-CI Discovery Project, Island communities, island rhetoric: sustainable development and the global promise? 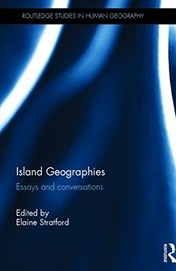 It revealed complex relationships between sense of island place and identity and varied cultural and political geographies, and shaped a sustained research agenda that is internationally significant. In 2014, for example, the UN Small Island Developing States (SIDS) unit cited as vital to international policy a recent publication with one graduate, Dr Carol Farbotko (CSIRO)—work also involving Heather Lazrus, US National Center for Atmospheric Research. On the basis of such efforts, the UN Development Program asked me to review its major submission on the state of the world’s islands prior to its crucial meeting in Samoa that year. Moreover, the Discovery research gave effect to (a) federally funded professional development programs I led for municipal leaders to create local sustainable development plans; (b) five-year strategic plans for local municipalities; and (c) several local, national, and international research collaborations, publications, competitive grants, and major policy roles. Evidence-based scholarship, policy, and indicators were produced for pathways to good environmental governance for three state governments and nine regional natural resource management (NRM) groups (Lockwood et al. 2008–10). The research has had wide uptake among scholars of repute in several countries, federal, state and regional organizations, and end users seeking to advance sound NRM practices. I have led numerous externally-funded research contracts and several grants competitively funded at University of Tasmania; most are in partnership with international organizations, with the three tiers of government, with industry and non-government organizations, or under the former ‘ARC small grants scheme’. Much of this activity has had direct impact on policy and practice, including that related to social, urban, and environmental planning. For example, I worked with the Tasmanian Government on the legalization of small wheeled devices and crucial elements of youth and community safety on roads and footpaths, and directly affected legislative arrangements put in place in 2002. That research informs my publishing in mobilities studies, for example ‘On the edge: A tale of skaters and urban governance’ in Social & Cultural Geography (2002) and 'Mobilizing a spatial politics of street skating: thinking about the geographies of generosity' in Annals of the Association of American Geographers (2016). Multiple studies show that young people subjected to abuse, violence, and neglect tend to develop behaviours harmful to themselves and others, and experience intergenerational cycles of disadvantage and heightened chances of incarceration. It is an urgent priority to find more effective ways to short-circuit these cycles. Therefore, in this project we ask what are the effects of child maltreatment for the intergenerational transmission of victimization and offending, educational attainment, and womens incarceration? In 2014, the Kentish Council commissioned the University of Tasmania to conduct a Community Health Needs Assessment (CHNA) of the Kentish Local Government Area (LGA). The findings from the CHNA were used to develop a Framework for Action to guide the service level response to improving the health of the community in the medium term.One of the impact areas identified in the Framework for Action is education and employment. Education was identified as a priority focus area as it is a mechanism to improve the general health of the community. Educational attainment is one of the areas of the social determinants of health, as there is a strong positive correlation between educational attainment and an individuals health outcomes. To this end the Kentish Council secured funding for a project based on the development of the Kentish Local Government Area Community Learning Plan. The project aims to undertake a place based approach to building community capacity through partnerships, collaboration and additional resources attainment to; provide greater educational opportunities across the lifespan; lift education attainment levels; and create a lifelong learning culture within the Kentish local government area.The scope of the required work includes validation of, and building upon, existing data sources relating to the social determinants of health at the local level together with an extensive community consultation and engagement process to build community capacity both within and outside local education providers.The project is inclusive of all sectors within the local community rather than just the education sector. On this basis, the CLP will engage representatives from various sectors which impact on the education of the community including local education providers, council, social services as well as engaging with, where possible, traditionally difficult to access groups such as young people, older residents and cultural groups. The project will document the factors that affect how school leavers and graduates make decisions about diverse and complex matters related to: education and training; the staging of life experiences and certain rites of passage such as gap years; and casual, contract, and permanent forms of employment influenced by immediate financial need or long-term career, lifestyle and lifecourse aspirations. The aim of this research is for the Peter Underwood Centre for Educational Attainment to assess the demonstrable effects of a particular model of learning and education that galvanises in community a confidence that young people who might otherwise disengage or be marginalised from education's benefits are able to take their place and are supported by their families, employer groups and the community itself.The model to which we refer is Big Picture education, and the evauluation has been commissioned by the Hon. Jeremy Rockliff, Deputy Premier and Minister for Education in the Tasmanian Government.Big Picture education orginated in the USA in 1995 with the aim of developing personal learning programs for each student in their schools. Big Picture Education Australia is a not-for-profit organisation promoting their program design that recognises the student's position at the centre of the education system. The initiative supports students, many of whom will have been previously disengaged at school, with a personalised curriculum and real world workplace experiences based on individual interests - most especially, internships. The grant is provided to assist in the funding of a new specific and specialised research space at the new Underwood Centre headquarters at 157 Elizabeth Street in the Hobart CBD. The Tasmanian Department of Education is partnering with the Peter Underwood Centre for Educational Attainment which will undertake an independent review of literacy pedagogies in Government schools and the training of teachers. This research will identify those practices that are most effective in improving literacy outcomes for students and will take account of other studies previously undertaken in other jurisdictions. Deliver capacity building workshops for school leaders, community and families to facilitate school-parent-community partnerships that increase parental engagement to assist children to realise their educational potential. By establishing a new, cross-disciplinary, cross-Faculty research collaboration between the Schools of Social Sciences and theGeography Discipline of the School of Land and Food the project will explore the connections between place, mobilit ies, and the burgeoning endurancesport sector in Tasmania. The proposed research complements and strengthens an existing research collaboration (ARC Linkage project) between UTas andUniversity of Wollongong (UoW) by extending the concept of city revitalization to regional revitalization and investigating endurance sports in thesecontexts. I have supervised 30 higher degree dissertations (25 PhD and 5 research masters), 23 masters coursework theses or masters minor dissertations and 35 honours degrees, some of which are listed below. My graduates are working as senior researchers in universities and CSIRO; as senior government advisors in all three tiers of government; as private consultants around the world; and as members of vibrant non-government organisations. I currently supervise five candidates and welcome inquiries from potential candidates with an interest in the geographies of children and young people, cultural and political geography, the geohumanities, and in the well-being of regional and island communities. Masters Ecosystems-based Fisheries Management: A Model for Managing Tasmania's Wild Capture Fisheries? PhD Returning to the Scene of the Crime: Spatial Representation in Edgar Allan Poe's "Dupin Trilogy"